Can Bartu (31 January 1936 – 11 April 2019) was a Turkish basketball and football player. He was also a sports journalist before his death. He started to play basketball for Fenerbahçe and was a six-time international representative with the national basketball team. He was invited by the football coach Fikret Arıcan to play football beside basketball. On 25 January 1957, Bartu played football for his club against Beyoğluspor. He scored two goals and assisted for two more. He helped so his team won 4–0. Then, that evening, Bartu played basketball for Fenerbahçe, scoring 10 points. He helped his club win 44–43 shooting a goal three seconds before the finish. Bartu switched then over to football in his club. He played 26 times for the Turkish national football team. The Turkey national basketball team represents Turkey in international basketball tournaments. It is governed by the Turkish Basketball Federation. Their nickname is the "12 Dev Adam", meaning 12 Giant Men. Turkey has won two silver medals at major international tournaments, namely the FIBA World Cup (2010) and EuroBasket (2001). Turkey has also won two gold ; one silver (1971); and three bronze medals at the Mediterranean Games. Fikret Arıcan was a footballer and chairman of Turkish sports club Fenerbahçe between 1984–86. He was born in Istanbul, Turkey. The Turkey national football team represents Turkey in association football and is controlled by the Turkish Football Federation, the governing body for football in Turkey. They are affiliated with UEFA. In 1961, Bartu transferred to ACF Fiorentina in Italy. Later, he played for Venezia A.C. in 1962 and for S.S. Lazio in 1964. He is the first ever Turkish footballer, who played a final game in Europe with Fiorentina against Atlético Madrid in 1962. He was nicknamed "Signor" by the Italians due to his technique and gentile manner on the playground and because of his chic outfits worn off field. ACF Fiorentina, commonly referred to as Fiorentina[fjorenˈtiːna], is an Italian professional football club based in Florence, Tuscany. Founded by a merger in August 1926, and refounded in August 2002 following bankruptcy, Fiorentina have played at the top level of Italian football for the majority of their existence; only four clubs have played in more Serie A seasons. After successful seasons in Italy, Bartu returned to Turkey in 1967 to play in his former club Fenerbahçe for more three years. Overall, Bartu played 326 games with Fenerbahçe and scored 162 goals. He became four-time Turkish Super League champion in 1959, 1961, 1968 and 1970 with Fenerbahçe. The Süper Lig is a Turkish professional league for association football clubs. It is the top-flight of the Turkish football league system and is run by the Turkish Football Federation. Eighteen clubs compete annually, where a champion is decided and three clubs are promoted and relegated from, and to, the 1. Lig. The season runs from August to May, with each club playing 34 matches. Matches are played Friday through Monday. He retired from active sport in 1970. Bartu currently is a sports journalist writing for the newspaper Hürriyet. Nowadays he also takes part on a national TV channel in Turkey as a commentator. Bartu was the UEFA Cup ambassador of Turkey in 2008/2009 season, when the Şükrü Saracoğlu Stadium in Istanbul hosted the final. The current training facilities of the Fenerbahçe senior football team are named after Bartu. 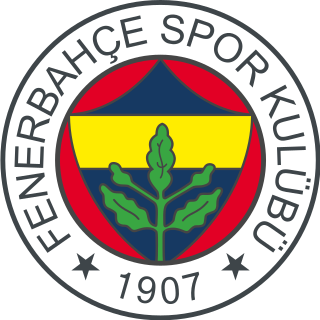 Fenerbahçe Spor Kulübü, commonly known as Fenerbahçe, are a major Turkish multi-sport club based in the Kadıköy district of Istanbul, Turkey. Ali Rıza Sergen Yalçın is a former Turkish footballer and is recognised as one of the greatest footballers to play for Turkey. 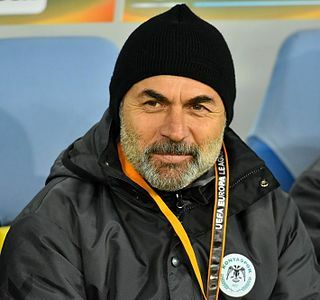 He is currently the head coach of Alanyaspor. İbrahim Kutluay is a Turkish former professional basketball player. He played at the shooting guard position. He scored a record 50 points at the 1996 FIBA Europe Under-20 Championship against Italy, and also 41 points in a EuroLeague game against Cibona Zagreb during the 1998–99 season. Metin Oktay nicknamed the Uncrowned King by Galatasaray fans, was a Turkish footballer and one of the most successful goal scorers in Turkey. Aykut Kocaman is a former Turkish footballer, who played as a striker and manager. Before he made his debut 1980 with the amateur club Kabataş Altınmızrak in Istanbul, Kocaman performed gymnastics at the club Eczacıbaşı, winning 40 medals and reaching second place at the national level. 1984, he moved to Sakaryaspor in Adapazarı, Sakarya and turned professional. Then in 1988, Kocaman signed a contract with Fenerbahçe, where he played and contributed much to success of his club until he was transferred to Istanbulspor in 1996. Mehmet Aurélio is a Brazilian-born Turkish football coach and retired footballer, who currently is the head coach of Corum Belediyespor. Lefter Küçükandonyadis was a Turkish football player of Greek descent, who played as a forward. He is often recognized as one of the greatest strikers to play for Fenerbahçe and Turkey. Having won several regional and national championship titles with Fenerbahçe and becoming Turkish top scorer twice in his career, he left an imprint on the history of the club. Lefter is one of a few players whose names are included in the Fenerbahçe Anthem. Daniel Gabriel Pancu is a Romanian former footballer who played mainly as an attacking midfielder or a forward. He is currently the manager of Rapid București. Gökhan Ünal is a Turkish professional football player who currently plays for Van BB. He was the top goal scorer in the Turkcell Super League 2005/06 season, having scored 25 goals in a single season. Zeki Rıza Sporel was a Turkish football player. He plied his trade at the striker position for Fenerbahçe and the Turkey national football team. His career started in the Fenerbahçe youth teams until he was promoted to the senior team. Zeki spent his entire career with the club, setting numerous records. He was also a forerunner for Turkey, becoming the first player to score for the team. He is often cited as one of the best strikers in Turkish football history. Mehmet Topuz is a retired Turkish footballer, who last played for Fenerbahçe. Topuz had begun his career in Yolspor, a local club in Kayseri. He joined Kayserispor after spelling almost 3 years at that club. He has been given several Golden Man of the Month awards which are presented monthly and supported by Turkey Heart Foundation. His successful league appearances attracted the bigger clubs of Turkey. However, Kayserispor Board strongly asserted that they will not let him go and supported their intentions to keep him in the club by advertising on billboards. Afterwards, he extended his contract with the club, eventually becoming the team Captain. Egemen Korkmaz is a Turkish footballer who plays for Turkish club BB Erzurumspor. Felipe Melo de Carvalho is a Brazilian professional footballer who plays as a midfielder for Palmeiras. Selçuk İnan is a Turkish footballer who plays as a midfielder for Süper Lig side Galatasaray and the Turkey national team. The Intercontinental Derby is the name given to any football match between Fenerbahçe SK and Galatasaray SK It is also known as the Eternal Rivalry. It involves the two most successful clubs in Turkish football history. The fixture is more than a century in existence and has developed into one of the greatest, most intense and often bitter derbies in the world, traditionally attracting large attendances and nearly equal support for both teams throughout the country. In September 2009, British Daily Mail ranked the Fenerbahçe – Galatasaray derby second among the ten greatest football rivalries of all-time. Fenerbahçe Basketball, commonly known as Fenerbahçe, currently also known as Fenerbahçe Beko for sponsorship reasons, are a professional basketball team and the men's basketball department of Fenerbahçe SK, a major Turkish multi-sport club based in Istanbul, Turkey. 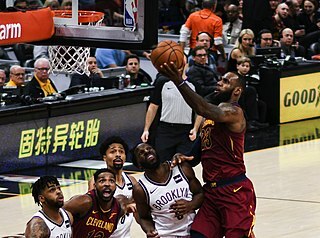 They are one of the most successful clubs in Turkish basketball history, the only Turkish team to have won the EuroLeague, as well as 12 Turkish championships, 6 Turkish Cups, and 7 Turkish Super Cups, among others. They play their home matches at the club's own Ülker Sports Arena. Halit Deringör was a Turkish footballer, who spent his entire playing career with Fenerbahçe in Turkey. His sportsmanship and passion for the game, made him one of the most iconic players in the history of the club. ↑ "Son dakika: Fenerbahçe efsanesi Can Bartu yaşamını yitirdi" (in Turkish). 11 April 2019. Retrieved 11 April 2019.